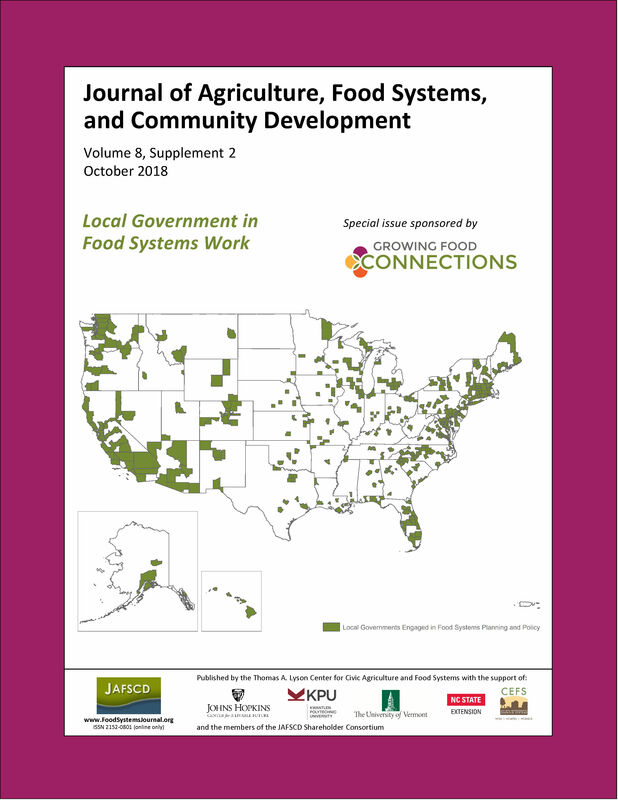 It is time to shift the trajectory of how local gov­ernments engage in communities’ food systems. Local and regional government (LRG) involvement in food systems is essential and welcome, of course. However, recent experiences, as well as what is on the horizon, suggest that practitioners and scholars must reimagine the roles local govern­ments play and how they play them. Failure to reflect and correct course on public policy measures to strengthen community food systems will be judged as short-sighted by historians, much the same way that urban renewal policies are critiqued today.